Why Our Attitude Towards Heritage Needs A Big Change? As we celebrate World Heritage Week from November 19 to November 25th, a thought keeps lingering in my mind. Do we really value our heritage? One may also ask this question – Why it is important to preserve our heritage? Heritage is an all-encompassing word. It includes many things – built heritage like monuments and buildings, culture and traditions. Over the span of last few years as I went around exploring Jaipur and the surroundings, I was shocked to find that almost 90-95% of our built heritage is in urgent need of attention and repair. Read on to know Why attitude of people towards our heritage needs a big change after these pictures. My focus in this post is only built heritage. Read Jaipur Then And Now series which describes each tourist attraction or famous site in detail with old and new pictures. The attitude towards our heritage requires a huge change. Given the sheer quantum of heritage buildings in Jaipur and rest of Rajasthan, it requires massive efforts and funds. I’m sure this holds true for other old/ancient cities and sites across India. This is why I feel preservation of heritage is important. 1.Our heritage is a link to the past. The buildings and monuments are an important indicator of our beliefs, practices, customs and way of life. It provides us with an easy way to study how we have evolved as a society. With presence of around 1000 temples in the old city of Jaipur, it is easy to understand why religion and religious customs are still very strong in Jaipur. Kanak Vrindavan temple complex in Kanak Ghati, Jaipur. 2.Heritage provides us with the platform to study our history. Cenotaph like the one in Jaipur – Royal Gaitore speaks a lot about attitude of the rulers towards art and religion. Some buildings are ornate whereas others are simple. Many structures are made of white marble or sandstone. And then there are the ones which blend marble & sandstone beautifully. Historians can decipher the state of finances during the reign of a particular ruler by simply analyzing these structures. Similarly, the pyramids in Egypt provide a clue towards prevalent customs and religion of a period. 3.Preserving heritage is profitable & it opens up new opportunities. Many small towns in Europe have shown that preserving heritage buildings and culture is a way forward to bolster tourism and wealth. Small towns in Germany, Italy, Switzerland and many other countries attract many tourists because of their heritage. This is the only source of income in in these places. In a stark contrast, there are many heritage sites, monuments and buildings spread across our country, if restored and preserved, these can open new opportunities for government and people. 4. Our heritage makes us unique. In a globalized world, buildings are similar everywhere. Be it Bangalore, Hong Kong or London. It is all glass and concrete façade. But when one looks at the old buildings, they all have a story to tell. They have unique design elements. You will not find a structure as Hawa Mahal anywhere else in the world! Distinct culture, customs and buildings are great travel attraction. Everyone wants to experience something new. People won’t travel thousands of miles to witness or experience things they can find in their backyard. Kremlin in Moscow, Louvre in Paris, Amer Fort in Jaipur, Taj Mahal in Agra are great attractions. Similarly Diwali in India, Songkran in Thailand, Bull fighting in Spain are a big draw among travelers & tourists. In my opinion the following attitudes need to change. Old is past. Most residents feel that old buildings and customs have no place in current times. They link old buildings and customs with the bygone era. This is one reason Jaipur is losing old havelis and buildings at a fast pace. Old buildings in walled city area are being grazed down to make way for commercial spaces despite of a government ban. A beautiful heritage Haveli marred by lack of repair and commercialization. Collusion with government officials allow people to circumnavigate this ban. One of the great reasons for converting old buildings into commercial ones is the lure of money. I’m afraid in next couple of years, Jaipur may end up losing 50-60 percent of old buildings in walled city area. Bikaner city has already experienced this phenomenon where people sold off beautiful & ornate Jalis and windows from haveli façade. Here is a picture of beautiful window from the haveli in Bikaner. All these parts were modular & could be taken off before razing down a haveli. Making quick money in antique market was a big lure for people to do so. But a prompt action from authorities has now made it impossible for people to do so. Government and authorities need to change their attitude as well. They have been only doing what is necessary. For example, the areas which are visible to the tourists visiting Amer Fort are in excellent conditions but the ones which are not visible to the tourists are crumbling down. Authorities are not interested in repairing & restoring such structures. What is apparent is that the government only wants to optimize the money spent on heritage! Let me also add here before someone gets an impression that all is not well. Everything is not bad, we also have many heritage sites that are being maintained beautifully and are a great tourist attraction like Amer Fort, Hawa Mahal, Nahargarh Fort to name a few. This post merely highlights the attitude towards heritage. Read: 5 Reasons Why I Love Amer Fort -The Most Popular Tourist Attraction In Jaipur ? Part of Amer Fort’s defense system, slowly crumbling away. Extended sections of Amer Fort, which once used to be the entry point to Amer town are decaying & crumbling due to lack of repair. During my visit to a heritage temple in Jaipur, the priest confessed that he would like to get the repairs done using ancient techniques. He was forced to use modern techniques because of lack of skilled people and whooping costs. Old technique of construction involved lime plaster and stone. Popular repair technique on the other hand relies on bricks, cement and concrete. Unless government provides technique, trained manpower and financial help to owners of heritage buildings, it is impossible to use ancient techniques in restoration. Repairs carried out using modern methods in heritage buildings are neither effective nor lasting. They only inflict further damage to structures. Moreover, it is an eyesore. Heritage preservation cannot be done unless both government and public make an effort. It seems even authorities have become insensitive to the changing façade in old bazaars. Inability to enforce law, populism, corruption, vote bank are taking a toll on our heritage. Introduction of underground metro in old bazaars of Jaipur against public opinion needs lot of mulling over and thoughts. Underground metro construction work has caused damage to heritage structures. Authorities are building metro project in the name of development. It is likely that we may lose much of our built heritage in next decade or two since neither public nor authorities have any inclination to save our heritage. Meanwhile I have thought over & over…what will attract tourists to Jaipur? Metro? Malls? Glitzy modern buildings? Uninspiring architecture?…. I fail to come up with the answer! Let me show you this picture from Amer Fort which is self explanatory of the attitude of our countrymen towards heritage. This picture captures Janani Deori section or residential unit of queens. I have written a separate post on this issue –Stop doing this to our heritage! Pingback: Museum Of Legacies/ Everything But A Legacy – Jaipur Thru My Lens !! Pingback: Jaipur Then & Now – Brij Nidhi Temple – Jaipur Thru My Lens !! You are right! It does! This is a really thoughtful piece of writing about Jaipur’s built heritage. I think you make very pertinent points. As Jaipur’s extensive new builds increase its urban footprint, the city is polarising into the old/shabby and new/shiny. A city evolves. So there is a need for growth. Controlled, thoughtful and sensible rather than exploded across the city perimeters. With a focus on not losing the fabric of the old city. These are its bones. What the government and inhabitants might not understand is the fickle nature of tourists and tourism. Once a tourist thinks they’ve ‘done’ Jaipur or India, that’s it. They’re often off to ‘do’ the next experience. I come across this regularly when I’m trying to persuade clients to come on my photo workshops. They’ve ‘seen’ the sights in offer, the sights filtered by travel guides, travel books, newspaper articles, blogs, government ad campaigns. Very often it is a tick-box, shutter-slam operation. I think one answer to this difficult question if funding architectural preservation is to try to persuade visitors to Jaipur to experience the cityscape less travelled. By offering thoughtful, engaged heritage tourism that PAYS towards the upkeep of these extraordinary, amazing structures, and making traditional building techniques part of the upkeep story, the less well- known architectural gems might make it another 100 years. Keep photographing and writing, Arve. You’re making good work that is shining an important light on Jaipur’s heritage and future. Does Jaipur have an architectural heritage charity? Thanks for sharing your views based on your multiple trips to Jaipur. I have gone around in small lanes many times over and have written what I have felt. There’s a lot more to write but that will take time. Though some of the government’s try to do things differently and offer more offbeat stuff in reality that has never happened beyond launching and PR stuff. There are multiple reasons for it. Unless we have special programs which involve people offering them to visitors and advertising in an effective manner, it will never happen. No, we don’t have such a fund. The government does spend a lot of money on upkeep like the current program is about restoration, and painting of the bazaar facade but it doesn’t take care of side alleys and other places. So there is no comprehensive plan. Partly, that is because it requires an incredible amount and given the fact that most of the governments are populist they have “other agendas” too to take care of. Also, while one party is proactive on restoration program, during the rule of another party it is a different story. Ali, I will be happy to partner with you and your group. There are many other options apart from the usual bazaar. Also, devoting so much time has certainly given new insights. The problem that you are fighting is that Jaipur being such a popular place people have perceptions and opinions. I’m sure most people equate Jaipur with Hawa Mahal and Amer Palace. But there are layers of a city that you can unfold only when you look beyond the usual. 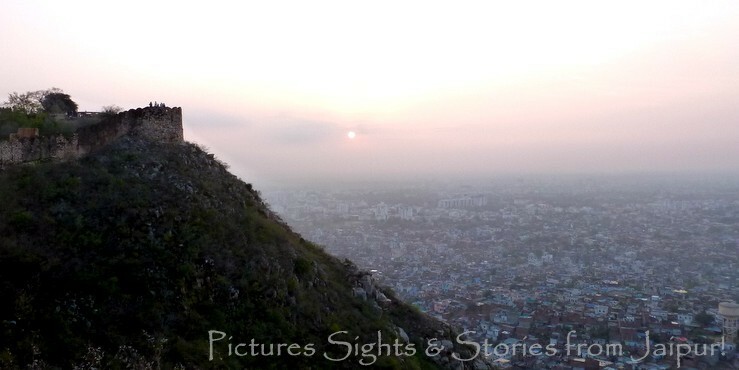 Like I mentioned before that Jaipur is a great place for photographers. It’s not just about forts and palaces, we also have a great street life, festivals, nature and what not. There are many creative ideas that can be implemented in a photo walk! You did your PhD in India? wow! That’s great. Are you from India? Hi Arv. How you doing. I think it would be really interesting to put an exhibition together on how tourists see Jaipur. Plenty of opportunities to thread a story on the tourist gaze. I caught your messages this morning out the corner of my eye (working) and now I can’t find them!!! Absolutely! Are you talking about Instagram? What a shame it is to witness crumbling structures and wrongful restorations. So happy to have discovered this blog through Instagram.My Grandma used to live in the walled city in a lime mortar house with low ceiling and small windows with jalis. It has long been sold and was razed by the owner.I always dreamt of growing up in time to purchase it back. Anyhow, what i mean to say is that we people who pride ourselves in our heritage, very easily disassociate ourselves from the old to grab the new, as you pointed out. In a way,Government’s apathy is a reflection of our own. Abhilasha, I’m happy that you feel attached to our heritage and you have an emotional connection to your old house. Unfortunately, most people (young) find it difficult to connect with heritage because they never had that connect. All of us feel that modern and “western” is the way forward which is a wrong idea. We can grow and prosper with our heritage in a much better way than simply copying things from other places. Europe is a good example for all us. They have created a tourism-based model from their built heritage. I’m sure people are not interested to see modern and glass buildings here in Jaipur when they can find it in their own country. Unless we don’t realize this our heritage will be lost. Forever! on another note, how did you find my blog on Instagram? I guess this is the story of our country! I have seen some of the most beautiful and historically important monuments across the country slathered in cement plaster and it breaks my heart. Honestly, till date I used to think Rajasthan with its impeccably maintained palaces and forts is the ideal example to be followed by states like Maharashtra / Gujarat who are struggling big time with conserving their heritage. ( I have written about this on my blog). In that sense, this article was an eye opener for me. I just wish more and more people come across this! Awareness can create a huge positive impact. Madhura, there is no denying that Rajasthan leads when it comes to maintaining heritage buildings. The sheer number of such structures makes it difficult. The ones in private hands which are deriving money on a commercial basis can afford to do so but for others it is a sad tale. Conservation requires lots of money and unless government provides support it will be difficult to do so. There are many heritage buildings which are maintained very well. What we need is government policy to stop misuse and destruction and support in maintaining such structures. Arv, I so agree with your views and opinion. I really feel that there is a need for serious on the heritage buildings all across India. Recently I am in my native town and I am pained to see how the old buildings (which may not be of any historical importance as in Rajasthan) are either in dilapidated state or have come to the hands of the real estate people and finally ended up in ugly sky scrappers. The economical inability for maintenance and the lure of glamourised new apartment and money has forced people to hand over such ancient buildings to the builders and promoters. Strict law and enforcement along with a change in the public mindset are required to prevent these ancient buildings from falling into the hands of this rapid and ugly commercialization. I agree Sarmistha. It is a difficult battle. A battle between protecting our heritage and the lure of money/glamour. We cannot win this unless attitude towards heritage changes in the public’s mindset. People think that everything shiny is development. It is not just about historical importance, it is about our past and who we are. Just what I feel. Wonderful article. Hope someone somewhere wakes up. I’m glad that we are on the same frequency, Anuradha. I’m hoping to raise some awareness. Let’s hope for the best. It’ll be great if you can compile similar thing from your city. Previous Previous post: Shikaar Bagh Jaipur. Hunting & Yore over Food & drinks!